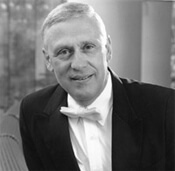 Anthony Cirone was recently inducted into the Percussive Arts Society's Hall of Fame at the 2007 Percussive Arts Society International Convention in Columbus, Ohio. Cirone's name may not be as well-known in drum corps circles as Fred Sanford or Ralph Hardimon, but Cirone has left an undisputed legacy with the Vanguard's percussion section. Some have even called him the "Godfather of the Santa Clara Vanguard percussion program." Read more on SCVanguard.org.